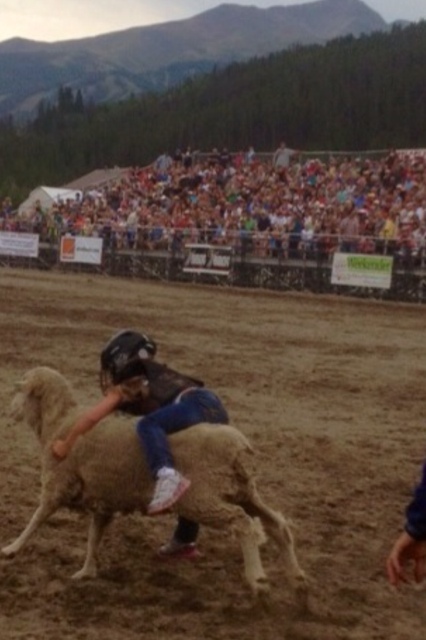 Breckenridge Colorado Rodeo- Mutton Bustin !!! Chic Family decided to check out the Breckenridge Rodeo while in town! So far, it has been our favorite activity in Colorado on our summer trip to the mountains. Claire won 3rd place!!!! The rodeo was a blast and a bucket list experience that everyone should do once. We will be back to mutton bust when the baby is old enough. No doubt. All kids must ride a sheep in a rodeo once in their life. Don’t wait too long though, because there is a 65 lb limit!